Day 1: It's confirmed, what is now called "Gravity Stones" are a reality. These crystalline rock formations levitate in the air, causing a sharp decrease in gravity around them. You have seven days to harvest, analyze and develop a ZeroG techology from these stones. 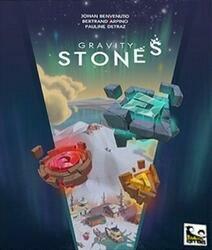 Gravity Stones is a multi-choice development and optimization game. But it is played in a reduced game time for this kind of game.